At Rutgers, I founded the Multi-Generational Mentoring (MGM) Program with funding from the National Science Foundation. The MGM Program provides academic and social support and resources to undergraduates, many of whom are first-generation and/or underrepresented minorities, planning to pursue graduate education. We host a graduate-to-undergraduate mentoring program, a Writing Clinic, and a Grad Application Boot Camp that assists students in preparing graduate applications. The program has served more than 100 students from institutions throughout the Northeast. I have also served as the advisor to three undergraduate research assistants through the Aresty Program at Rutgers University. I provided research methods training and worked with them to create posters presented at the program's Research Symposium. 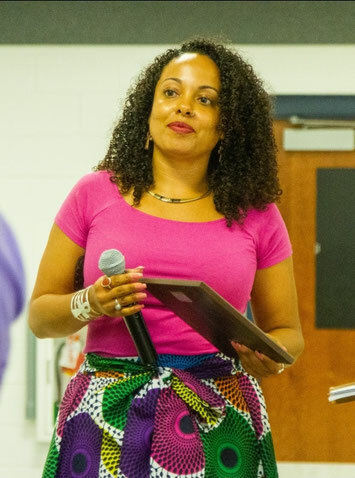 In addition, I am a Founding Board of Directors Member for the Ocean City Juneteenth Organization, a non-profit organization which holds community events celebrating Black history and culture. Our first event honored eight community elders, provided two book scholarships to local college freshmen, and brought together 200 community members at a celebratory brunch. We also sponsor annual Food and Clothing Drives for local homeless shelters and have served as Guest Curators at the Ocean City Historical Museum.